It seems to be winter, but with my weather and sea climate, I can dig even without a break, as I understand it. It’s cold and then it’s hot, and everything is changing one after another. Rain on New Year’s Eve is usual, so I did not fail to take advantage of the weather. When a little bit of the ground froze, I went to check out a couple of new plows that I thought I should have gone to late in the autumn. And to make the detecting even more interesting, I took advantage of the offer of my friend and took his brand-new Garrett AT MAX, which he bought last week. Once upon a time, I had the Garrett AT Pro. So, taking Garrett AT MAX in my hands, I remembered the already forgotten for years feeling. But it’s not so simple. 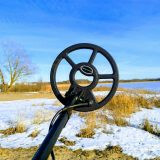 The Garrett AT MAX turned out to be a little heavier than the AT Pro, but the handle of this metal detector has become much more convenient. All the increased weight now falls on the detector block and thanks to this, the AT MAX is more convenient than the Garrett AT Pro, at least, in my subjective opinion. I have a big hand, I have enough strength, and therefore it’s a bit unusual for me to detect with light metal detectors – I grip the handle too tightly. There are also quite a few new settings. I ran quickly through my eyes as I thought of the basic nuances that should be remembered and what would be useful in the field with the AT MAX. I messed around with the settings while reading the instructions in practice. Through practice, everything is better remembered, so use this method, friends! The illumination turned out to be quite bright, the volume was adjusted to the desired level. I did not connect the headphones at this time because I wanted to cover my ears with a thicker cap due to a bit of icy wind. 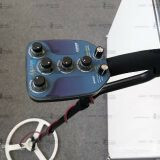 Most of the settings of the metal detector are familiar from the AT Pro, so it was easier to detect with them. The only thing that has been added is a good all-metal mode, that is, “all metals”, instead of the STD mode like on the AT Pro. The coil is also made like on the AT PRO. 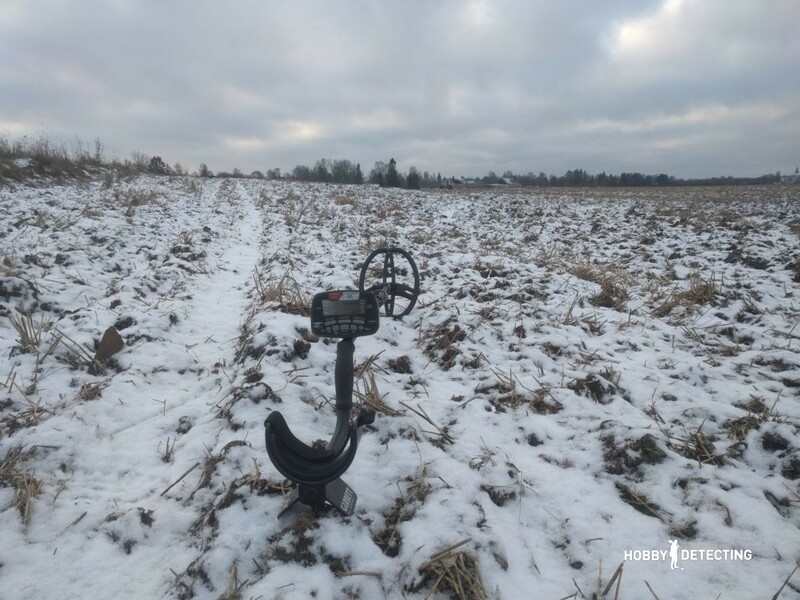 But, I did not only come here for the sake of an external description of the detector, I came to the field to dig some coins, but also to answer myself to the main question – what are the search qualities of the metal detector? Have they improved or become worse? What generally has changed? Has the Garrett AT MAX changed from the Garrett AT Pro? I went to that field, where I and my friend were once in the autumn and found a lot of good finds. 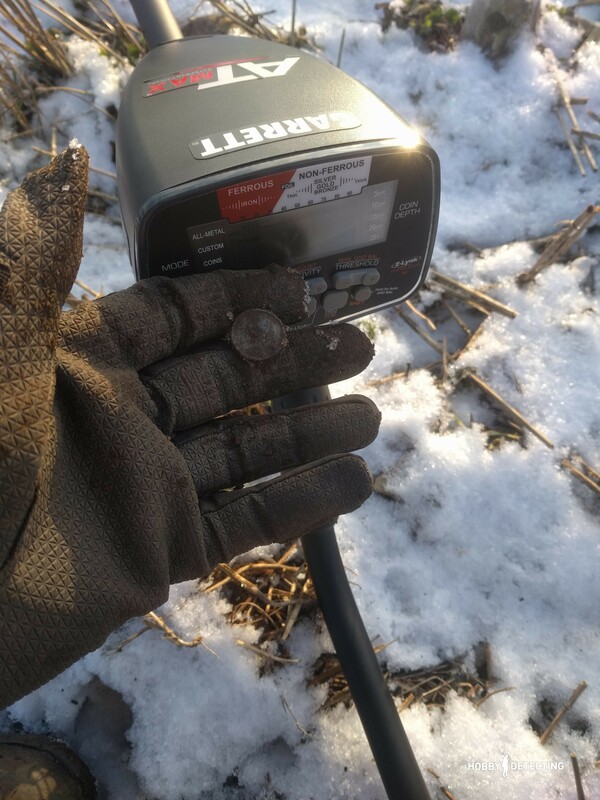 About this detecting trip, I wrote in this post. The field is quite large and it should be bypassed capitally with a large additional coil, but I remembered the places where the coins were concentrated and therefore I went to that place to finish it off a little more. I walked for a long time. The place where I had earlier passed with my Nokta Impact did not give me a single good signal! What does this mean? – our friends already managed to pass there and collect everything, or did we collect all the finds ourselves? I walked in the ZERO mode with discrimination at 0 and maximum sensitivity. I switched on IRON AUDIO and walked around listening to the iron. While passing, I dug out a couple of iron signals to check whether the place was really empty before the new plowing. When I walked around in the coin collecting place, I decided to change the dislocation a bit and go towards the neighboring edge of the same field to see what could remain after us there. And my calculation was correct! I immediately got a confident color signal and was even surprised at such a signal. I listened and dug. From the depths (somewhere around 25 cm) there appeared an ancient button, very beautiful, but at the same time simple in its beauty. Well, the find is good and pleasant. 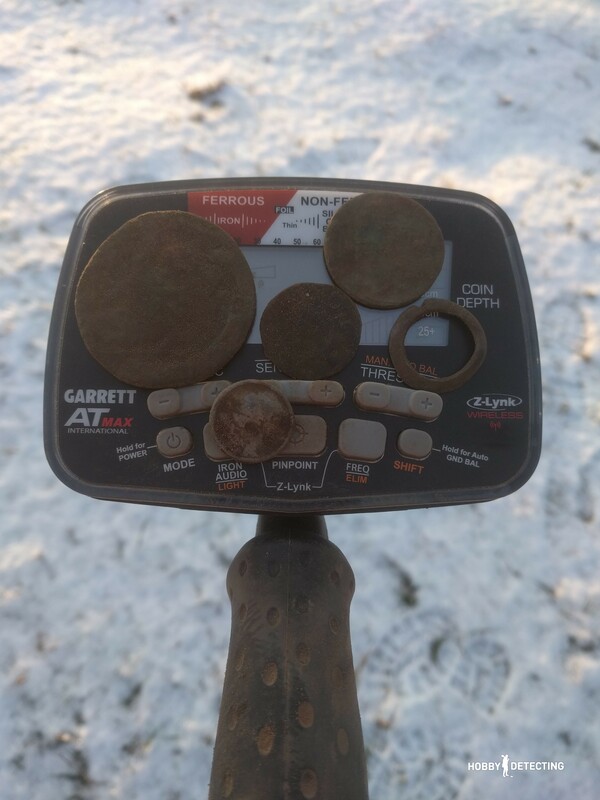 It was a good find depth for any metal detector. Let’s go further! After another couple of steps, I came across another signal and did not even believe my eyes – the device gave a confident signal of 97-98 VDI! Even the very beginner understands that this should be something big and interesting, probably even a silver coin! At least, the silver ruble of Catherine the Great sounded like that. I dug at the depth of 30 +/- cm, and there were five kopeks from Catherine the Great, that is, the Second! Freshly scented beauty! I like to pick up coins, there is something in these beautiful and interesting coins, inviting, beautiful and, I will not even be afraid of this word, Majestic! When you find such a coin, the mood is set very different for the rest of the time detecting! It’s funny how other detectorists could miss this coin, although I myself have not yet gone to that part of the field where I picked up this coin. So it will be necessary to put on a big coil and go all the way along and across if it so pleases us with coins! The new Garrett confidently made my day, and so I went further. I dug up a few trash signals (cork), but how without them? You have to dig these things because even if you feel somewhere inside, that the signal is a cork, it is better to check it! 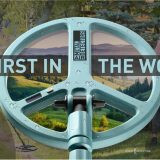 If not, another detectorist will pass by such a signal, and someone will stop, dig it up, and pull out some nice old coin! And my next signal was Swedish 1/6 Öre from 1683. An ordinary find, but it got out of a good depth, about 28-32 cm. The VDI was stable – 91-92, as it should be in such cases, because the coin is made of copper, and copper coins have such a numerical value. A Swedish coin is always pleasant in the form of a find. Even if there are no other coins, and such Swedes are appearing, it means that it’s also good. 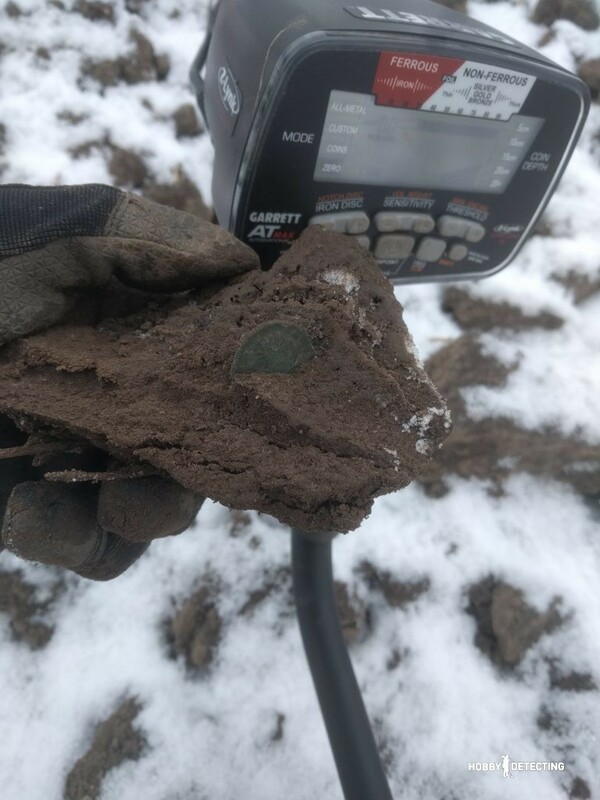 It’s almost like a USSR coin in our fields, but it’s more pleasant because of its age (almost 400 years!). 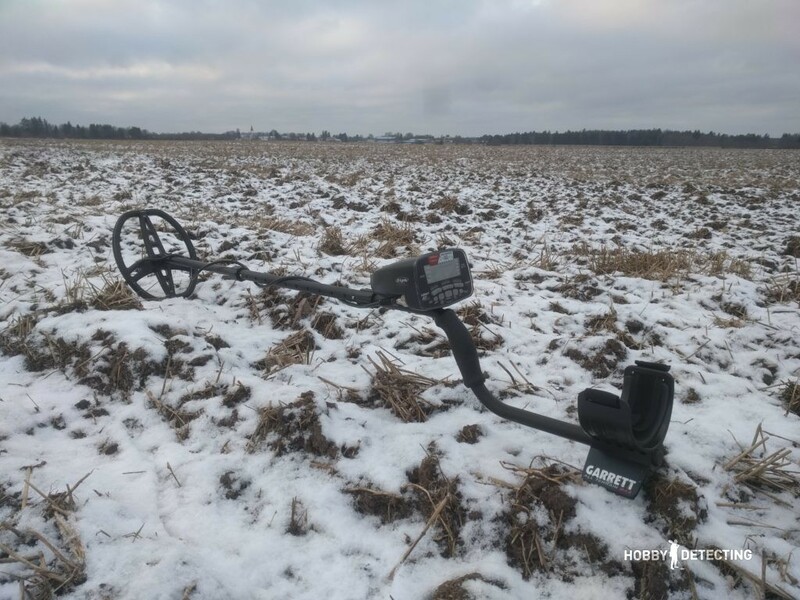 It’s a pity that the field was not even plowed up, but only the upper layer was cultivated. With cheap and simple detectors, everything is already collected from above, for the most part, but I always visit such places and, apparently, do not return empty-handed! Next find: Someone missed a great signal and this coin went to me. I dug out the coin safely right from the top layer and had to cut it carefully and surgically with a shovel from an icy piece of soil. 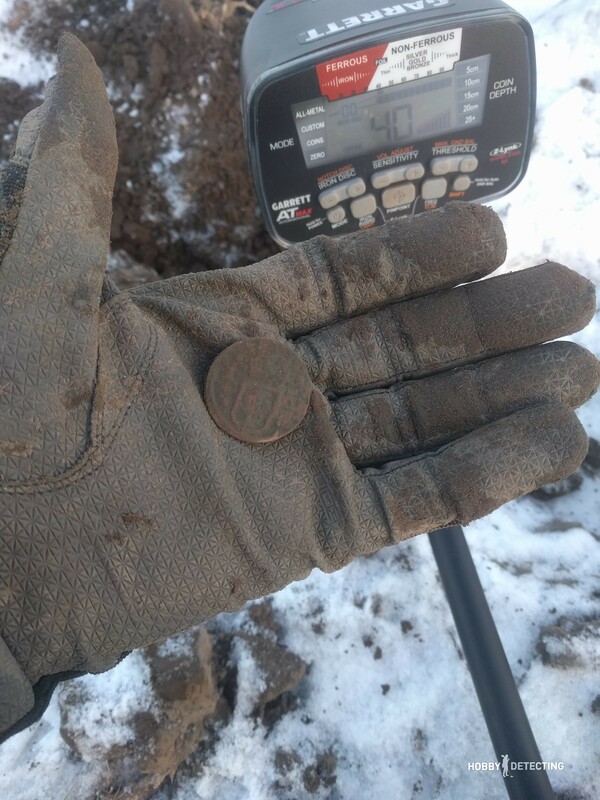 The VDI was stable, at 83-85, I was even a little surprised, but it seemed to be a Denga from 1731 or 1751, the year is a little difficult to read, it will be necessary to wash the coins and look more precisely. Remembering the time when I was digging with AT Pro, I compared my sensations from the AT MAX with my earlier experience and honestly, the AT Pro was a head lower than the new AT MAX. What did I like most about AT MAX which differs from the AT Pro? First, the detector became deeper. I walked the same field, where once I went with my AT Pro and picked up coins. But not so deep. 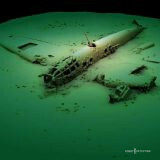 However, the notion of depth here is a bit subjective, because over the years it may have been a little forgotten. 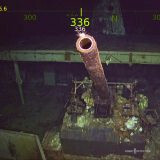 Second, the detector has become much clearer and it is easier to identify objects under the coil. Because Garrett always used to put the key point of AT PRO how it responds to beer cans and other rubbish. 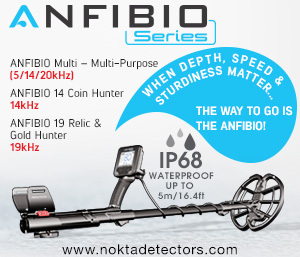 The detector shows very confidently what is under the coil – if it is a coin signal, then in 95% of cases it is a coin. If it’s a cork, then the cork is audible. Thirdly, it became much faster and easier to assemble it. With the AT Pro it took about a minute, but now they made it much easier and faster. And the last, the most important and interesting thing: the detector became more powerful and professional. 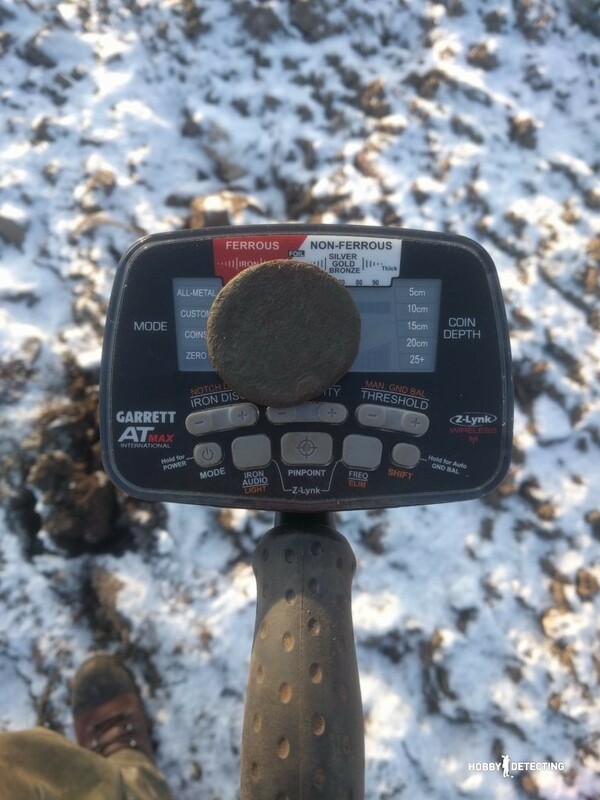 If we take all those points above and add wireless headphones to them, which are mega comfortable and give excellent sound quality, we get a good coin collector in the fields. 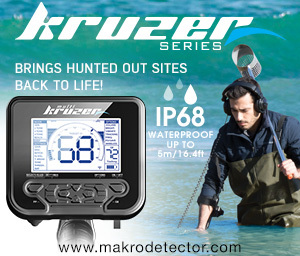 Well, do not forget about the water resistance to 3 meters. As a conclusion – the AT MAX became more serious than its predecessor and made a good competition for its classmates in the price range. 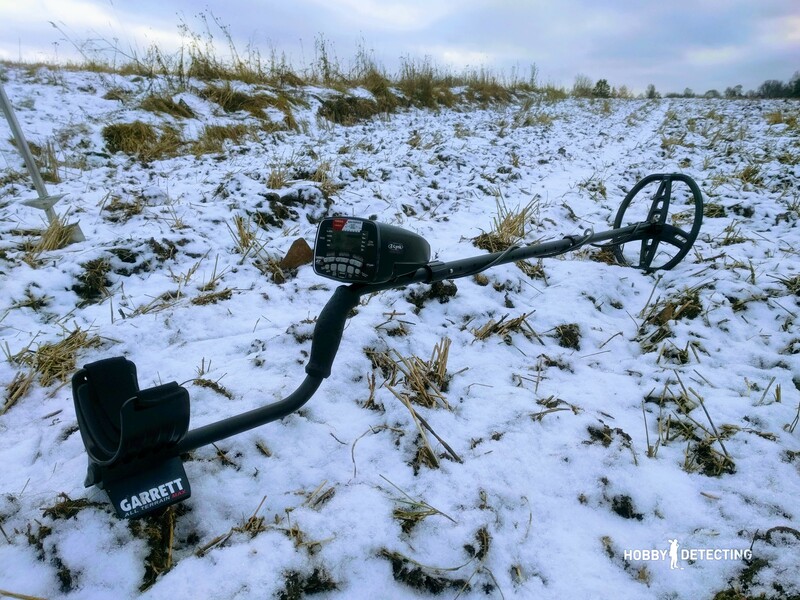 The policy of Garrett has always been simple – to create a metal detector that could cover most of the tasks and requirements of most diggers and they have fulfilled their task, with AT MAX you can safely go digging coins without leaving something behind. Miracles, of course, do not happen, but in comparison with other detectors, the AT MAX stands on the level. But on the simplicity of the settings, few people can compete with the novelty of Garrett. The results of the first three hours of detecting with the AT MAX are quite small and may seem trivial to someone, however, this is the reality of detecting! Naturally, if I dig in the headphones, I could have picked up more, because headphones help to control and check more signals, but the cold has done its job. But the coin from the times of Catherine II made the day! 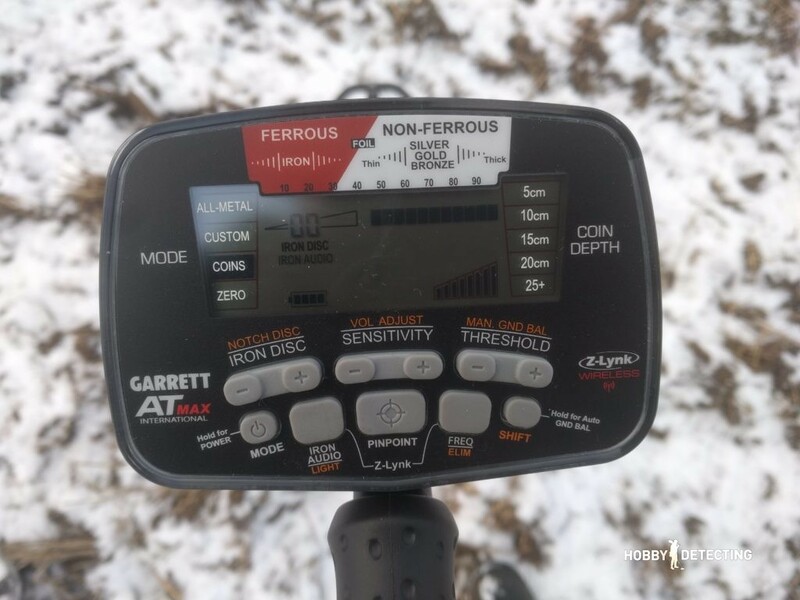 As it seemed to me, the depth of this detector caught up with the level of the “Ace 250 with a Tornado coil”, which is a very good indicator and, it can be said, measured in depth for all professional metal detectors. I’ll try to still hold this detector at home and take it several times from a friend to make more trips and get a better understanding of it. I wish you all good luck digging, I personally will dig in the forests. Now that the fields are frozen, there are opening more and more interesting places, where you can’t go in the summer!